Lower profile and sump capacity, these polyethylene Workstations and soft-sided Spill Pals keep your workspace clean and safe. Tough construction cannot rust or corrode, and stands up to heavy use. 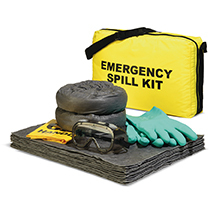 SpillTech® Workstations™ offer you easy-to-load containment. 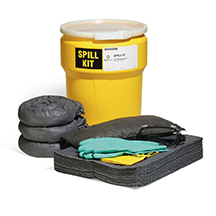 This tough polyethylene pallet with removable grates and large sump capacity is great for catching incidental spills. Highly durable polyethylene construction cannot rust or corrode; stands up to heavy use. Designed to work in conjunction with SpillTech® WorkStations™. Can be attached almost anywhere to allow easier access to pallet contents. Join several SpillTech® Workstations™ together with these accessory Link-Lock™ Connectors.